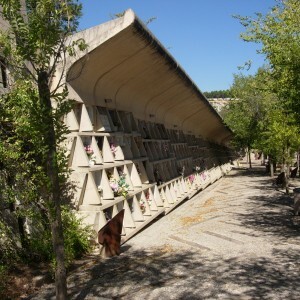 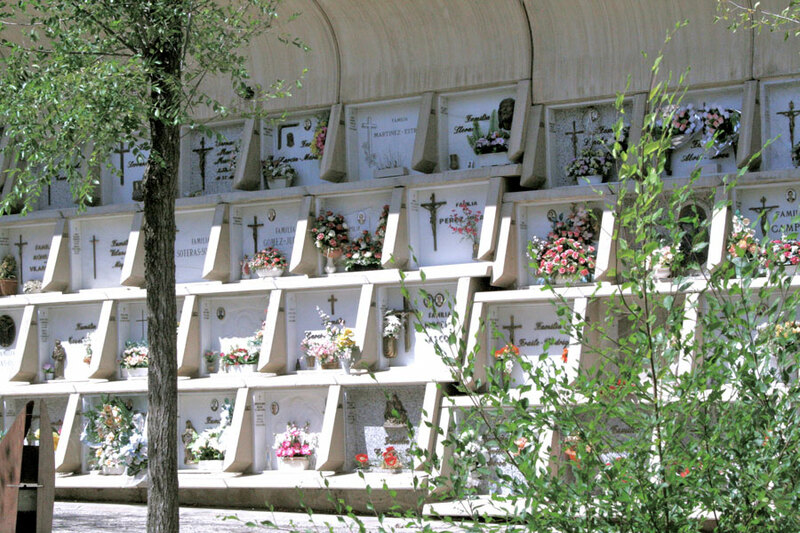 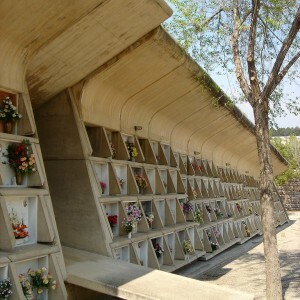 The Cemetery lies between the valley of river Riera de Odena and industrial part of town Igualada, 60km north from Barcelona. 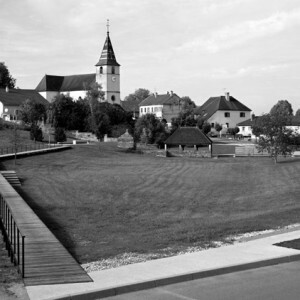 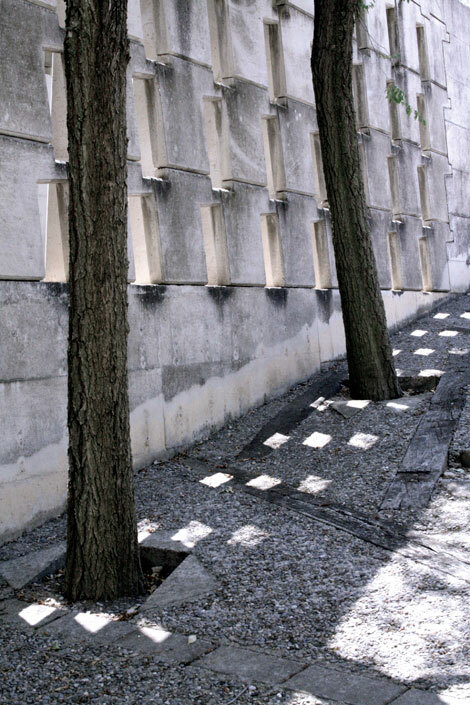 Cemetery reflects the characteristics of both typologies. 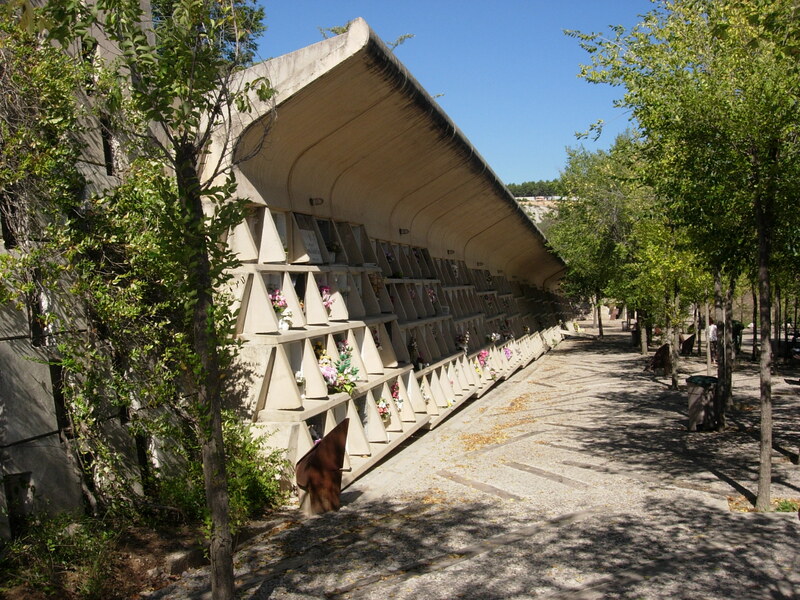 The main area of the cemetery lies beneath the surroundings and puts a visitor on the same level with the dead, so one can see only stony walls, tombs and sky. 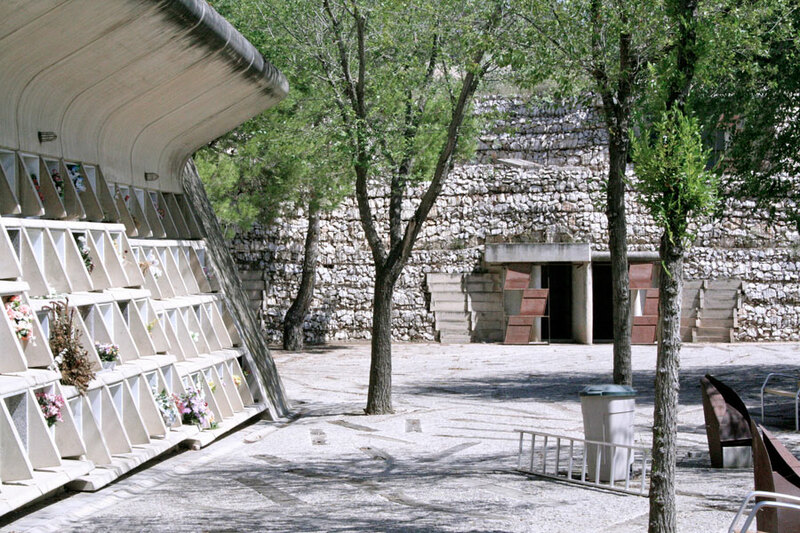 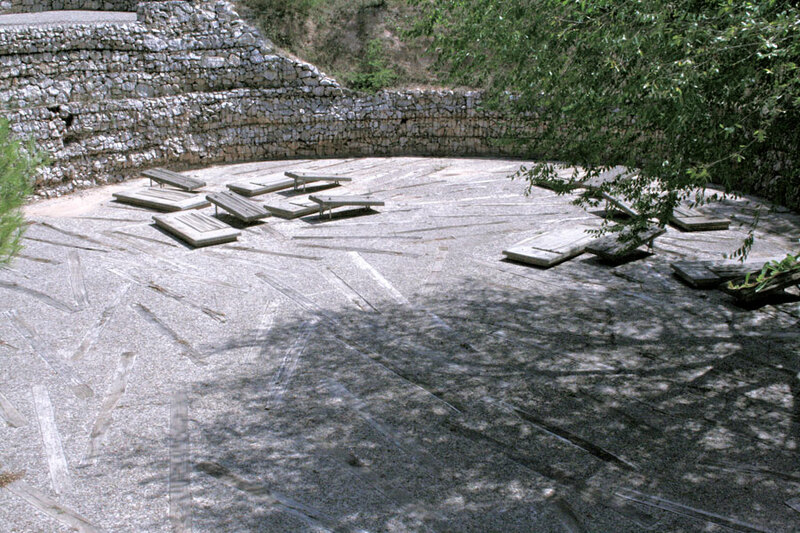 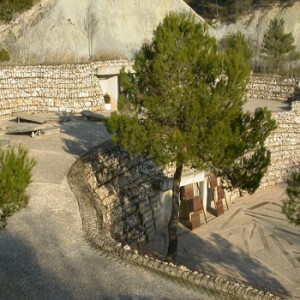 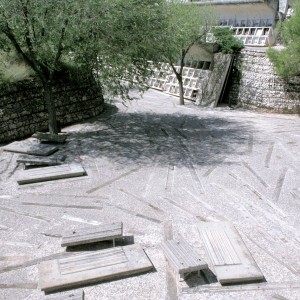 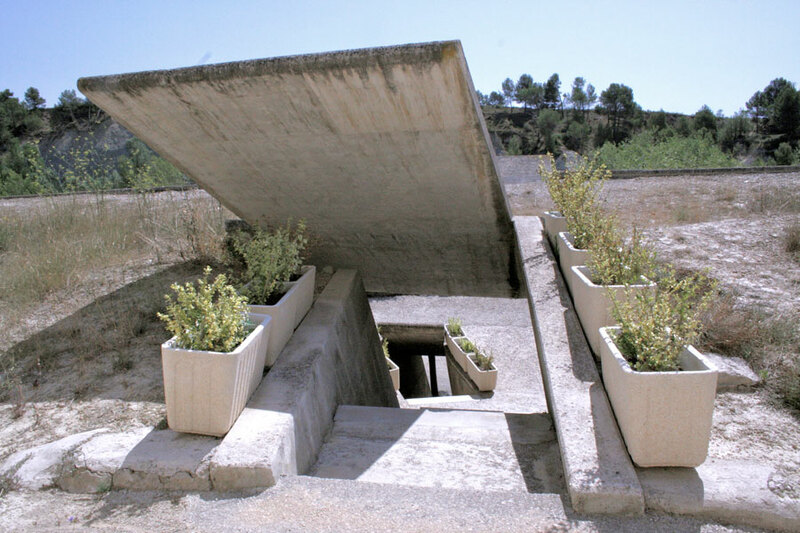 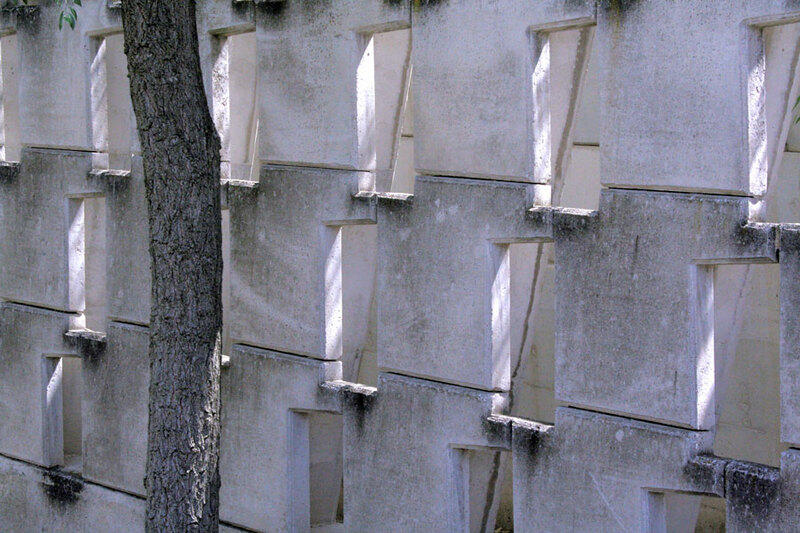 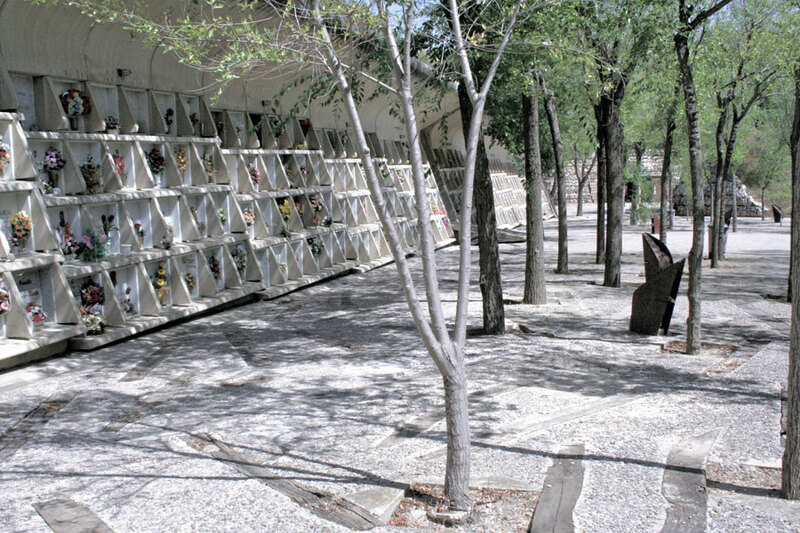 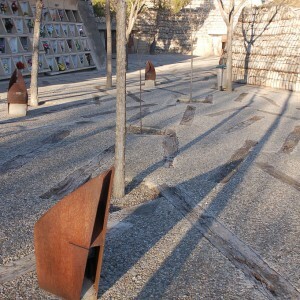 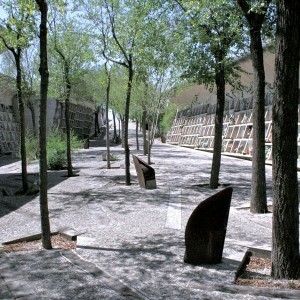 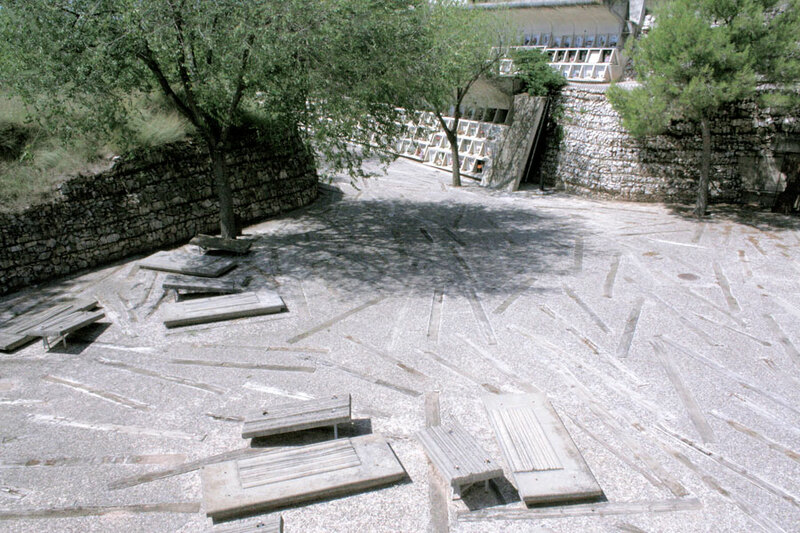 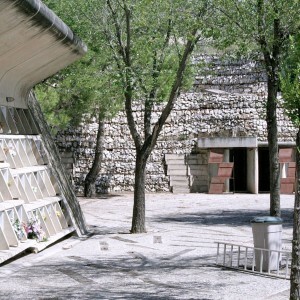 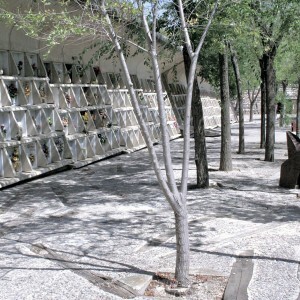 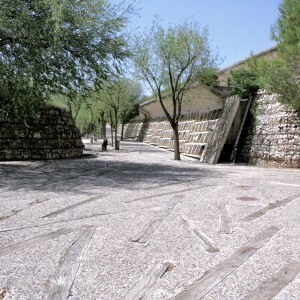 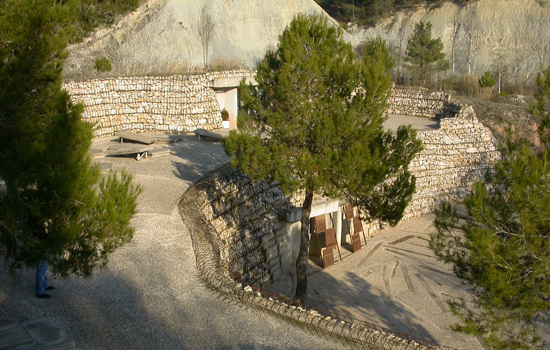 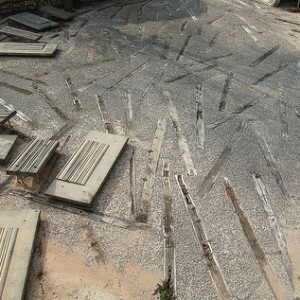 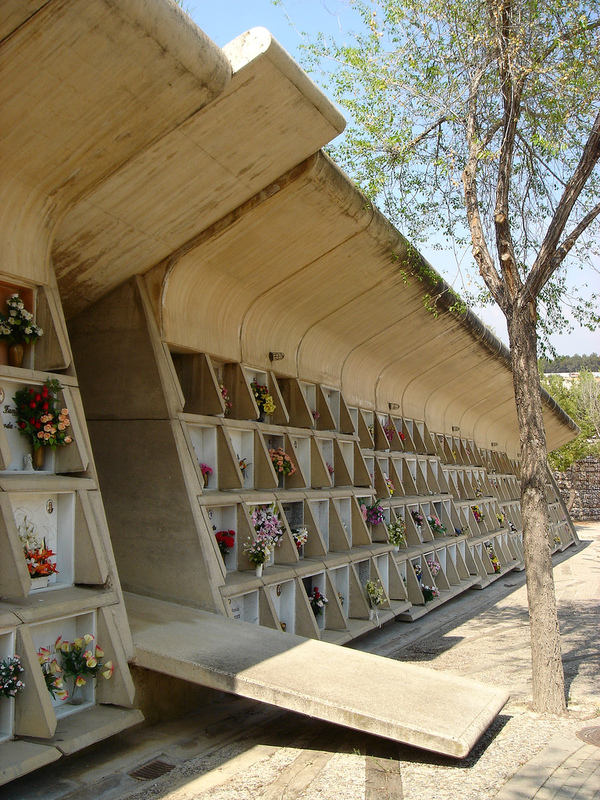 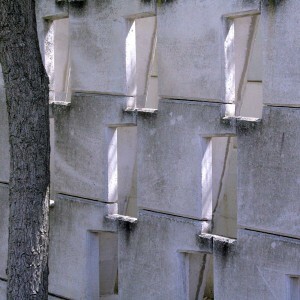 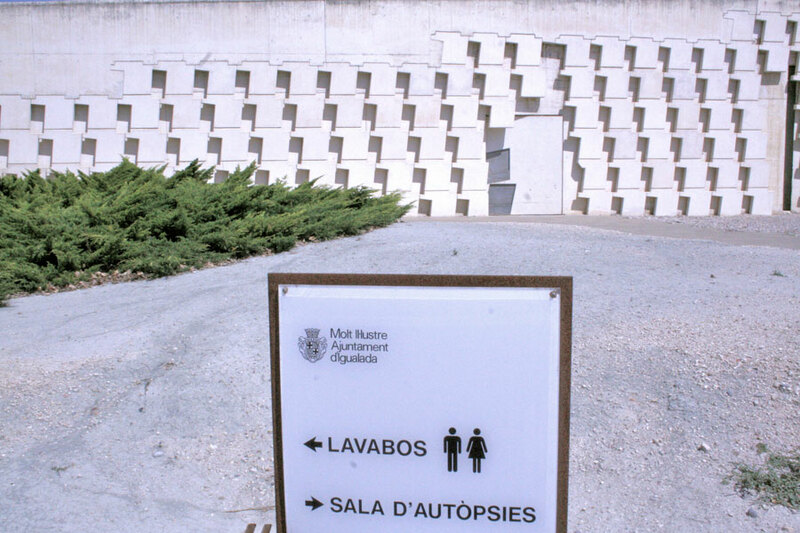 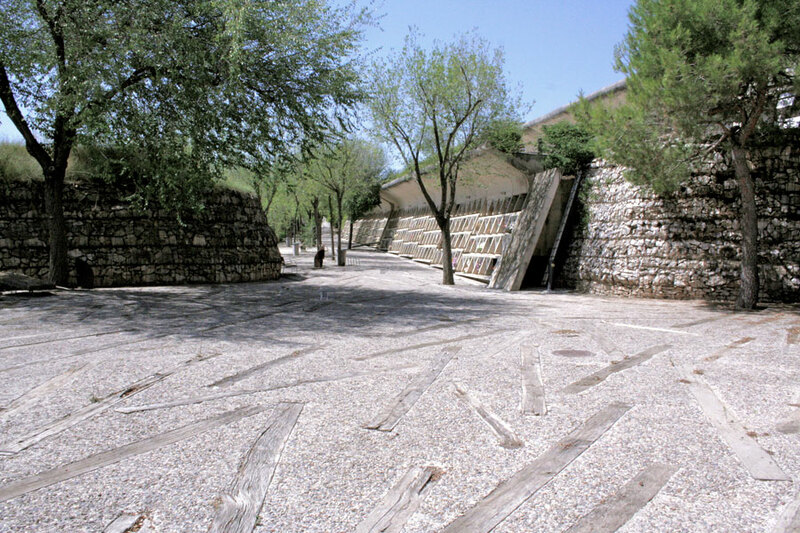 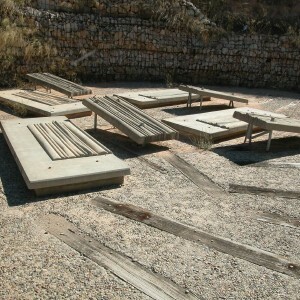 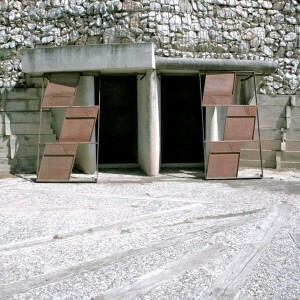 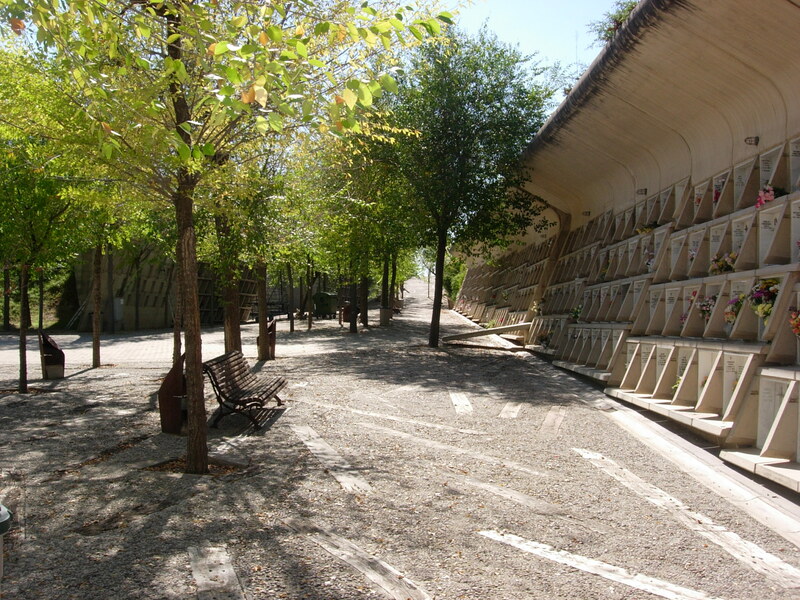 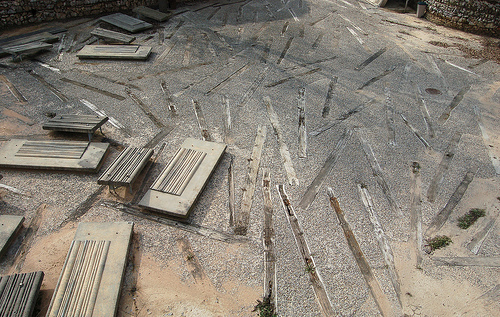 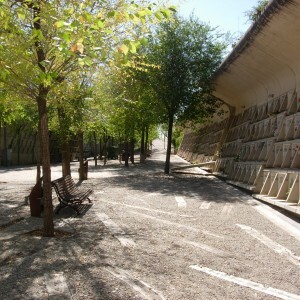 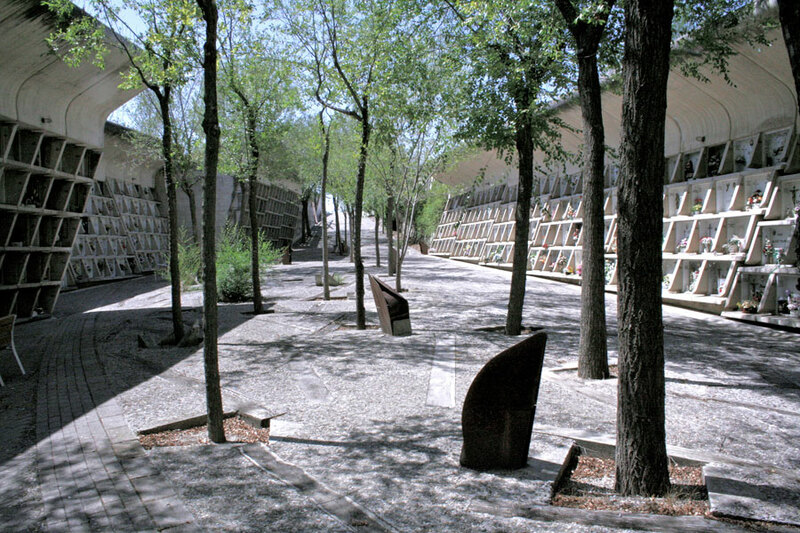 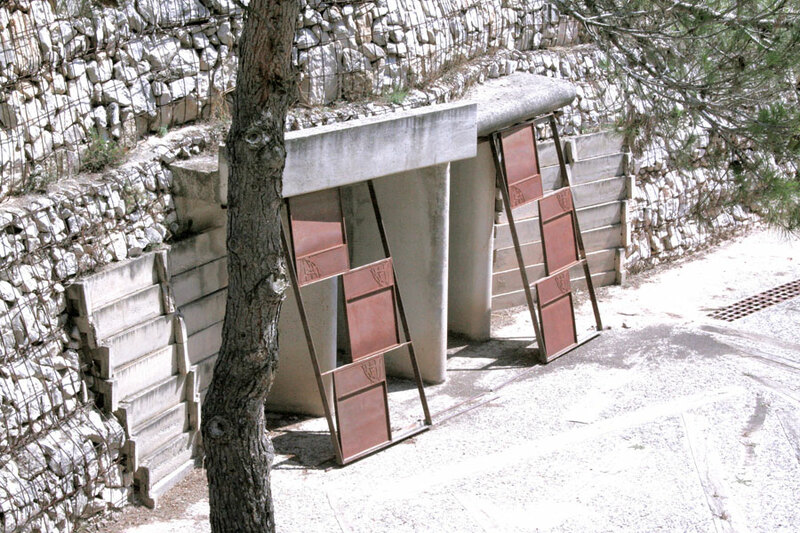 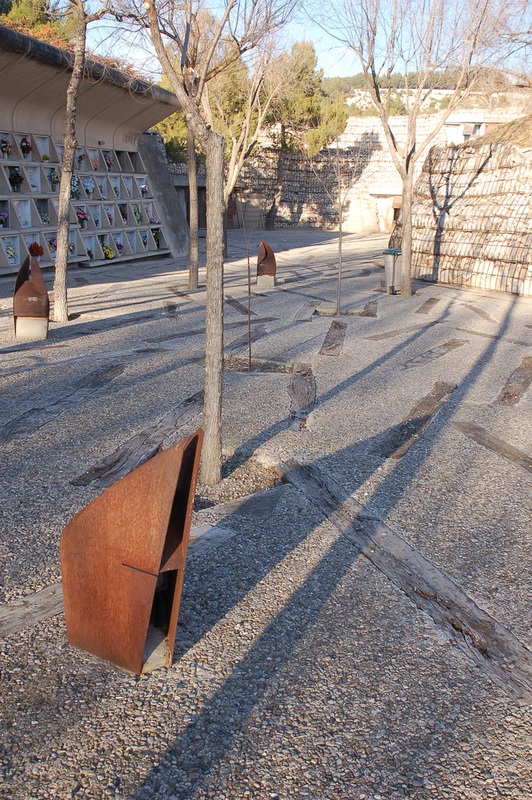 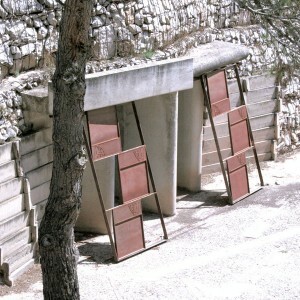 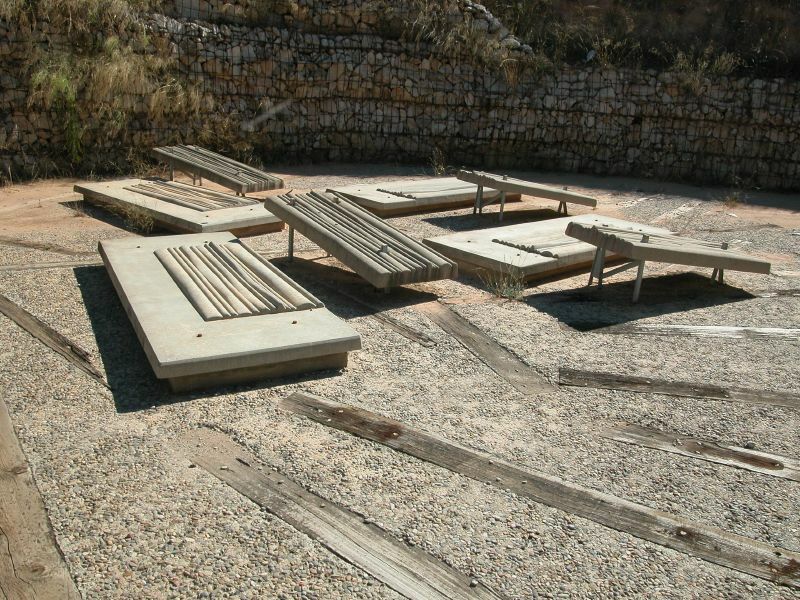 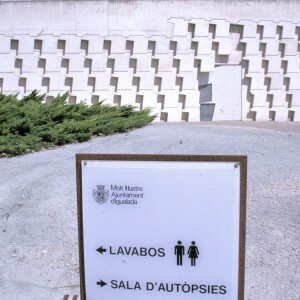 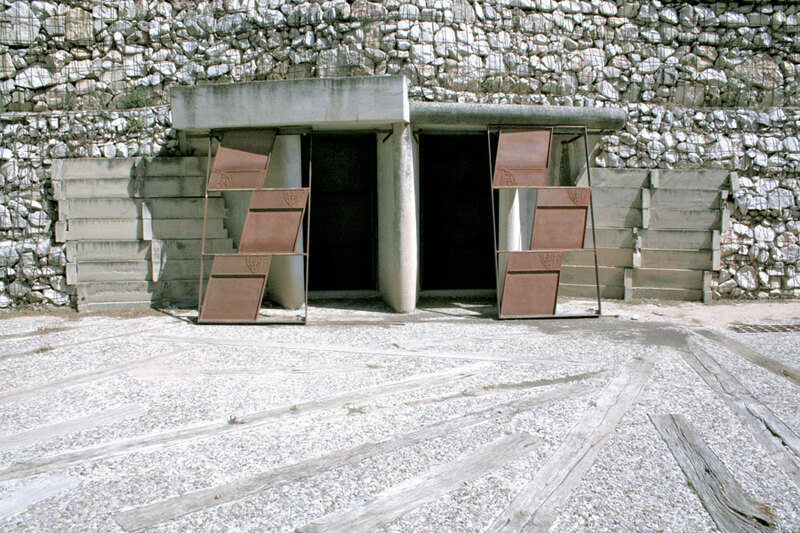 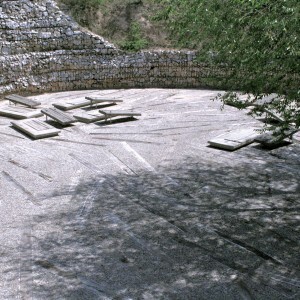 Igualada cemetery represents surrounding landscape with form and choice of materials, which are harsh and rough. 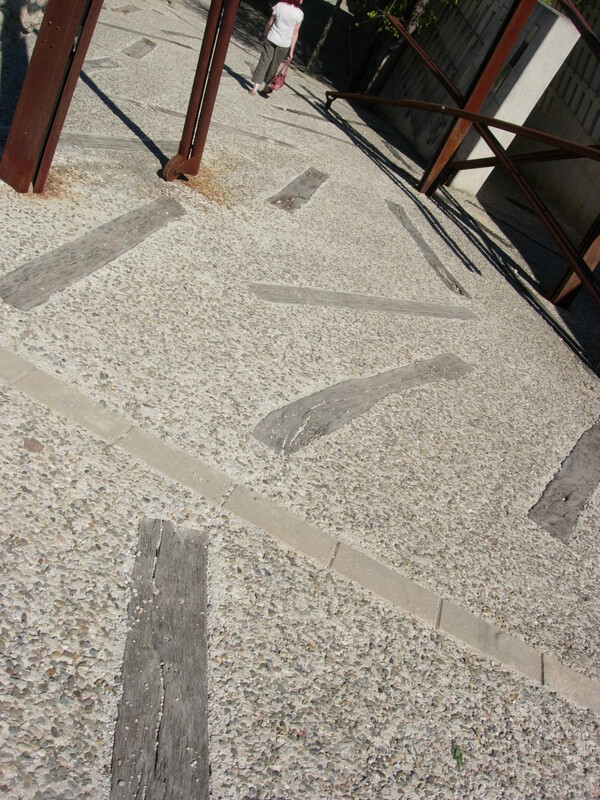 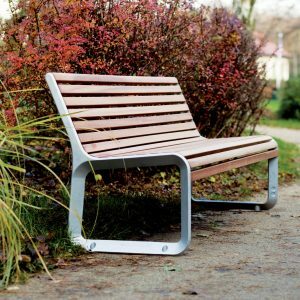 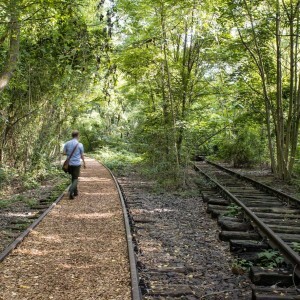 The idea of passing time is seen in patina of stone and concrete, rust of cor-ten and cracks on wooden railway sleepers. 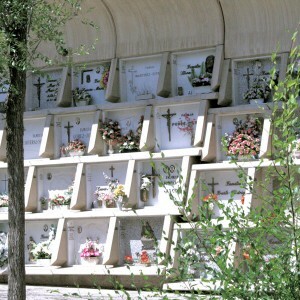 Though materials are very harsh, the general feeling of the cemetery is everything but unpleasant, it is very calm and quiet, intimate, where one can easily remember, without being disturbed. 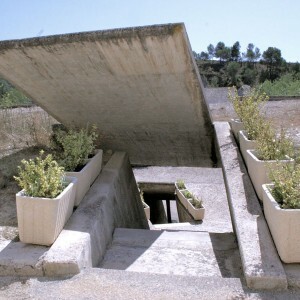 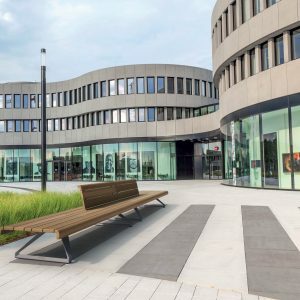 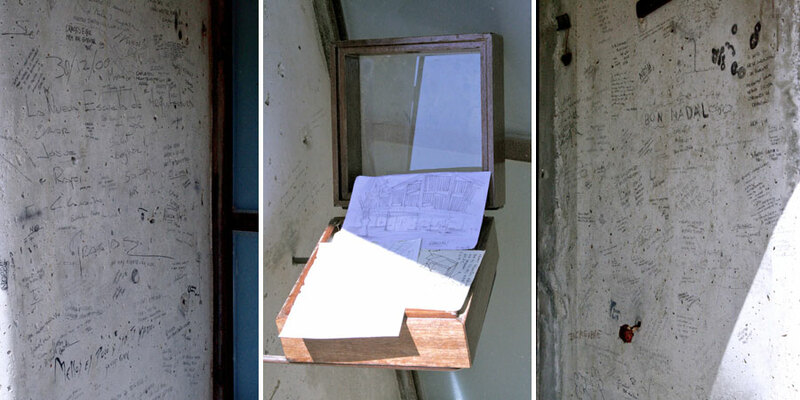 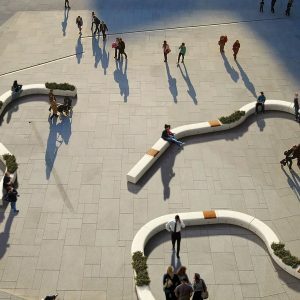 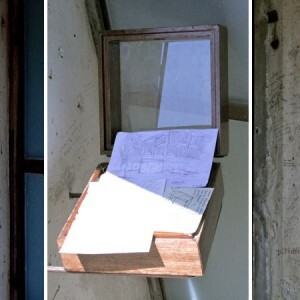 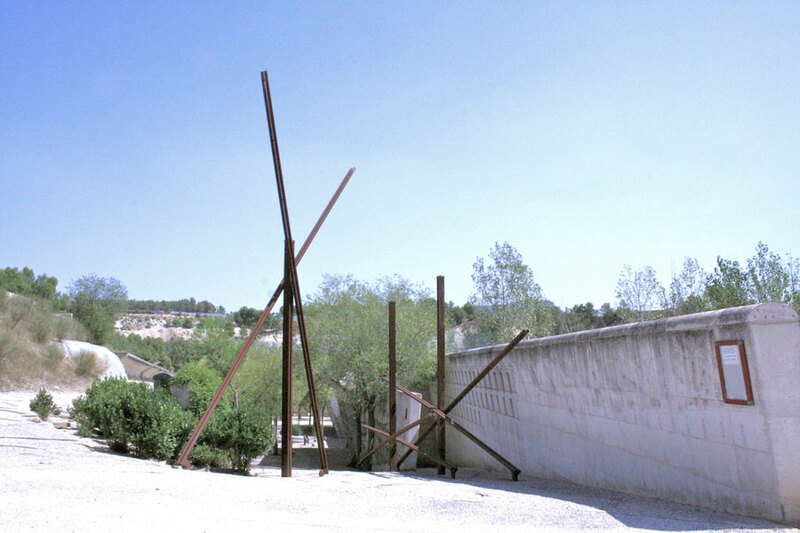 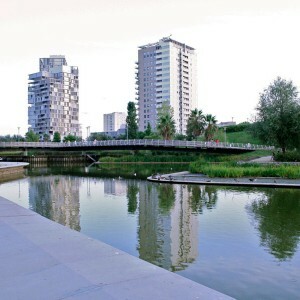 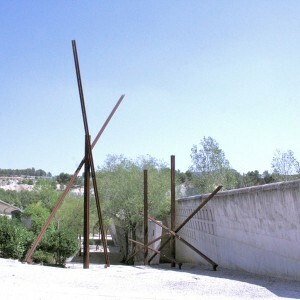 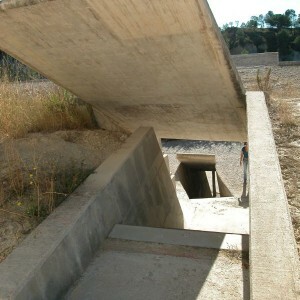 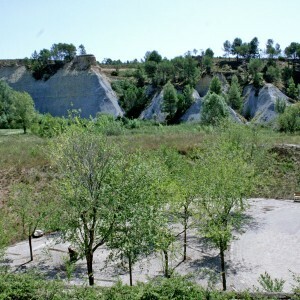 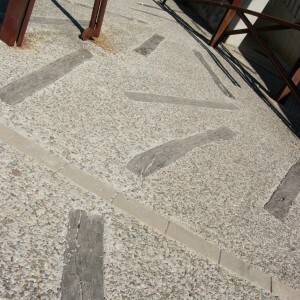 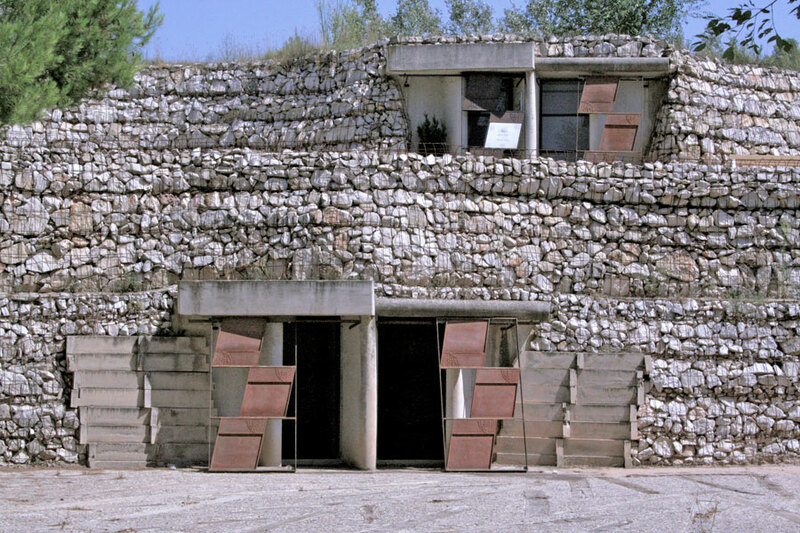 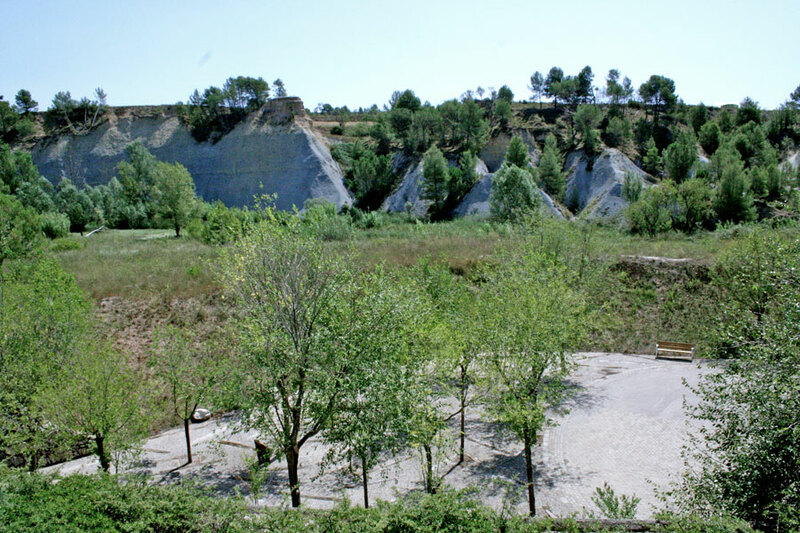 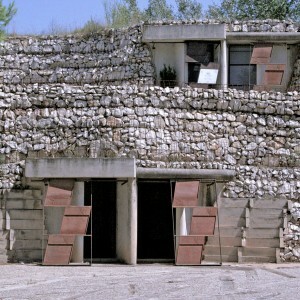 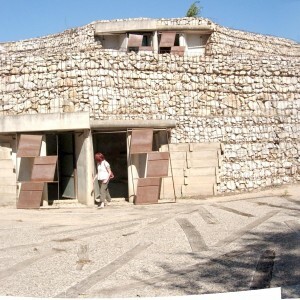 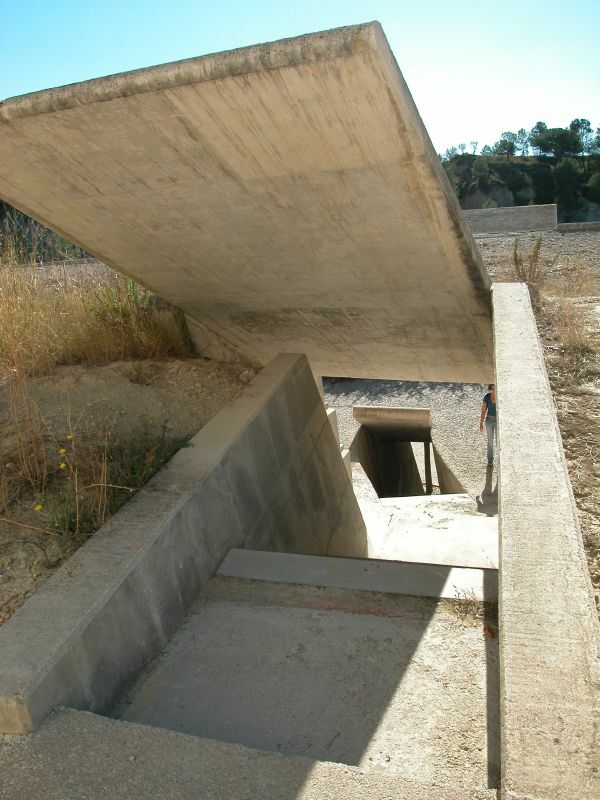 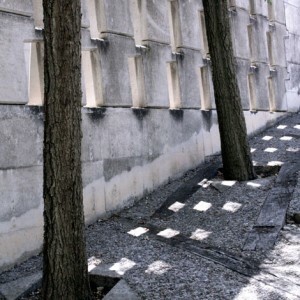 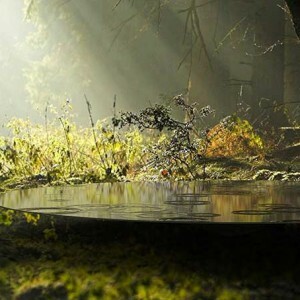 Landscape and Architecture: Enric Mirrales and Carme Pinos.